Sy woke up one morning with a very high fever, neck pain/stiffness, headache, vomiting and body aches. The first thing we thought was meningitis. We found the nearest hospital and took off. I have to say, the care that we received was phenomenal. Sylar was into the ER room in less than ten minutes. We were seen by the admitting Dr, a specialist, and finally the head of the ER department within 30 minutes. All the assessments couldn’t rule out meningitis so we were scheduled for a spinal tap. They very patiently explained that since we couldn’t definitely rule it out, we needed the test even though we had the kids immunized. We found out that there are four kinds of meningitis and the immunizations only protect against two. While that meant his chances of having it were smaller, we still needed to be certain. A few minutes later the doctor performing the tap came in, explained what was going to happen, and got set up. I convinced them that I needed to stay with him which they allowed as long as I stayed quiet. It was the most bizarre moment I’ve ever had with Sylar. Of course, I was scared, but seeing him completely loopy from the gas really kind of freaked me out. He did really well though, stayed still and pawed at my face while laughing at me. It was over in about 2 minutes and then he was through the effects of the gas in about 3. He remembered very little and felt no pain. At this point we were admitted to the hospital. The ER Doc said that it would take some time to get the results and would prefer to have Sylar on hand in case treatment was needed. 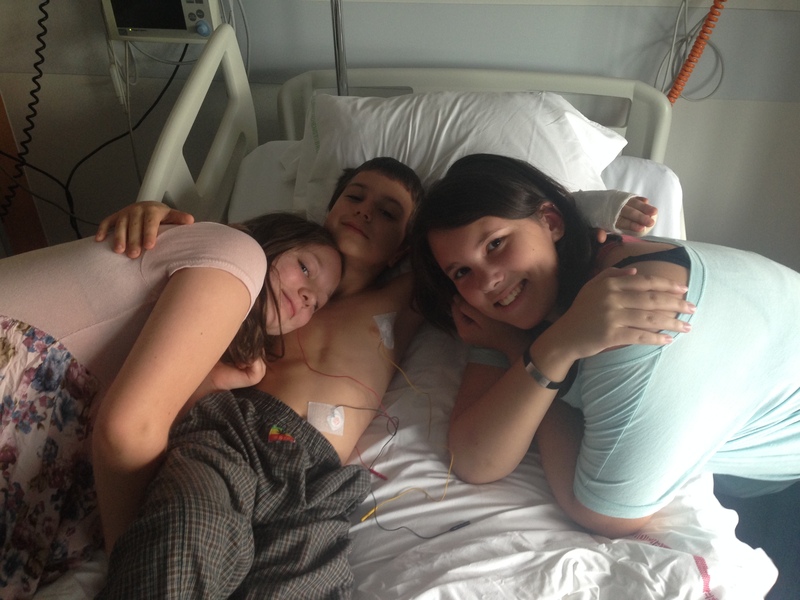 He was whisked up to a private room in the childrens ward and I was brought in a bed to stay with him. At this time Carl went home and grabbed the kids and some clothes for me and then came back. They spent the evening with us, keeping Sy occupied because he couldn’t sit up due to the spinal tap. He needed to stay horizontal for 24 hours while his fluid regenerated. Otherwise he would have ended up with a nasty headache. After they left and Sy had some dinner, we went to bed and slept fairly well. The next morning he could sit up a little and watched some movies with breakfast. The meningitis test came back clear but the only other thing they wanted to rule out was septicaemia. This test took another day to get results so we ended up staying another night. The care was great and the day passed uneventfully. The following morning the Dr came in and released Sylar. All tests were negative and it seemed to be a viral infection. It was passing because Sy was feeling better. I was overjoyed! We called Carl and got our ride home!! We were both very impressed with the speed, quality, and price of the care we had in the hospital. We still reference that event to this day! 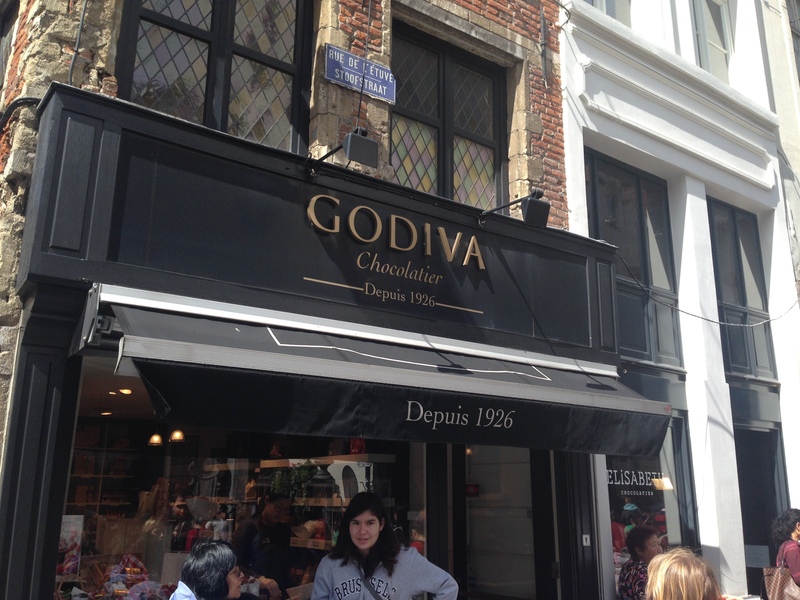 After a week everyone was feeling better so we set out to at least find some chocolate! The options were endless, much like the beer options! 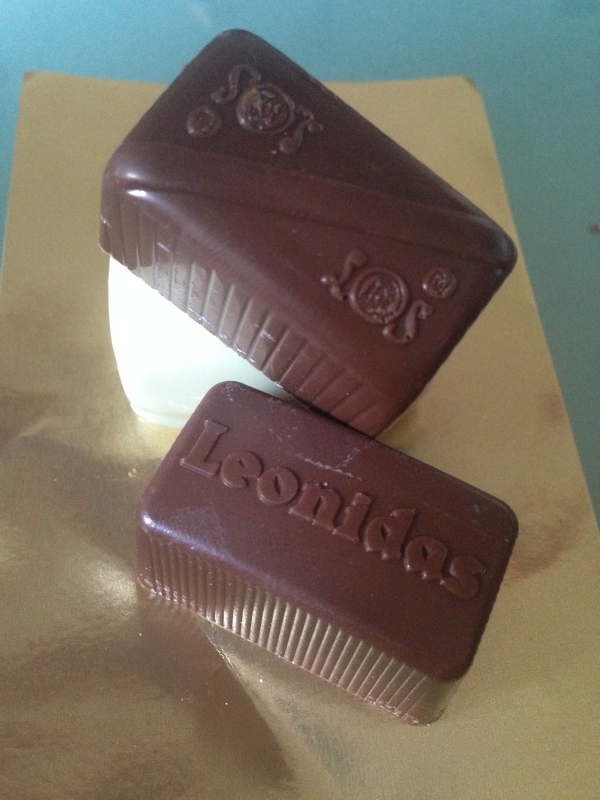 A few of the world famous chocolatiers are Leonidas, Godiva, Wittamer, Neuhaus, and so many more. 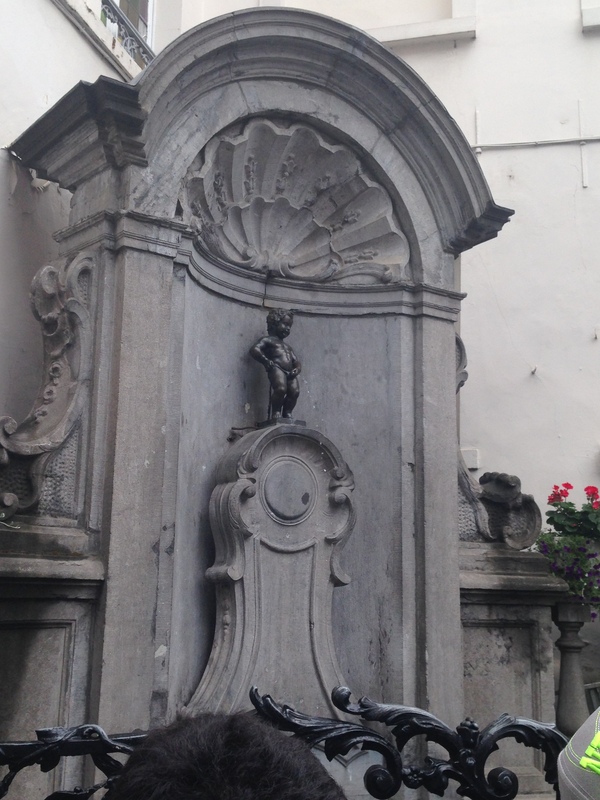 We decided to visit the ones located around the Manneken Pis. 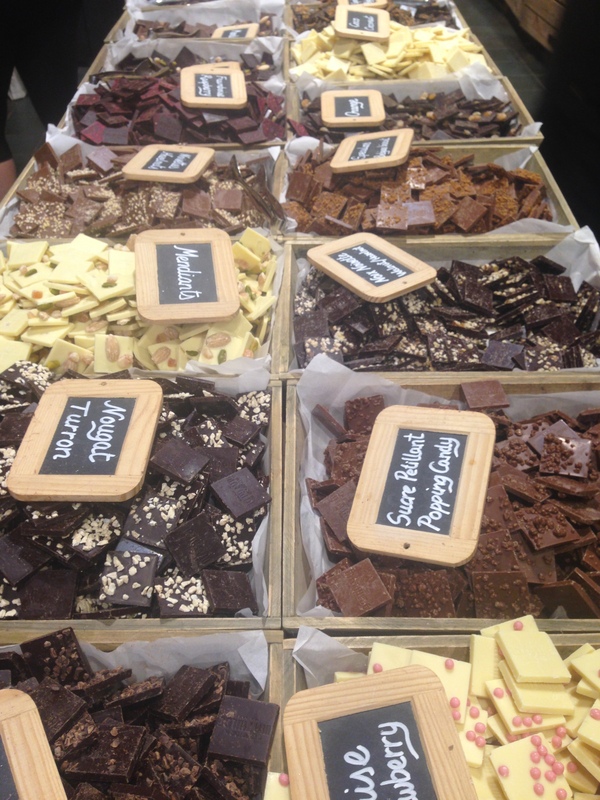 There were many to choose from! I forced Grace to take this picture….she was not thrilled about it!! Maison Antoine. 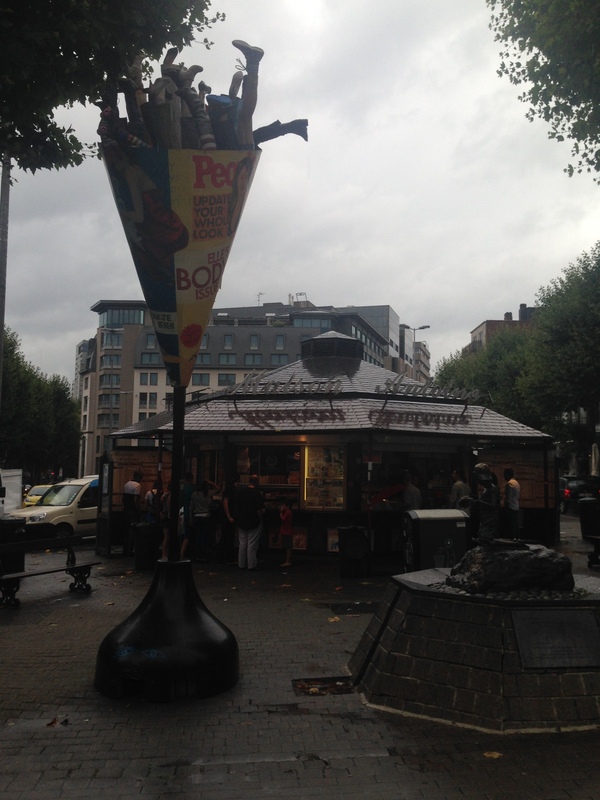 This was THE place in Brussels to get some frites (fries). That’s also all they served! Well, fries with about a hundred dipping sauce options! It was great, we stood in line in the rain and then ate in the car 🙂 The amount of fries they cook in a day was outrageous…. We were also informed that fries should never be referred to, EVER, as french. They are Belgium!! 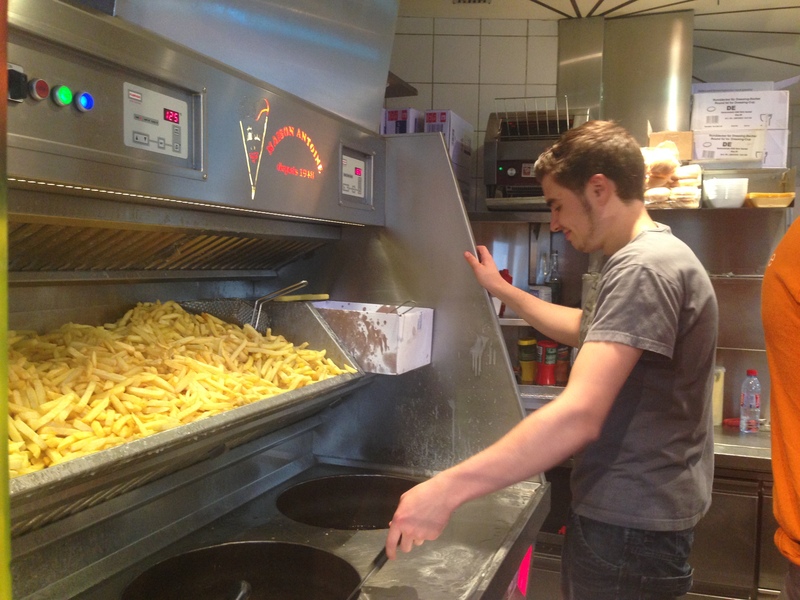 Belgium is the birthplace of the frite! All in all we had a fine time in Brussels. We had a good ending to the health emergency, great coffee, chocolate, and some fries!